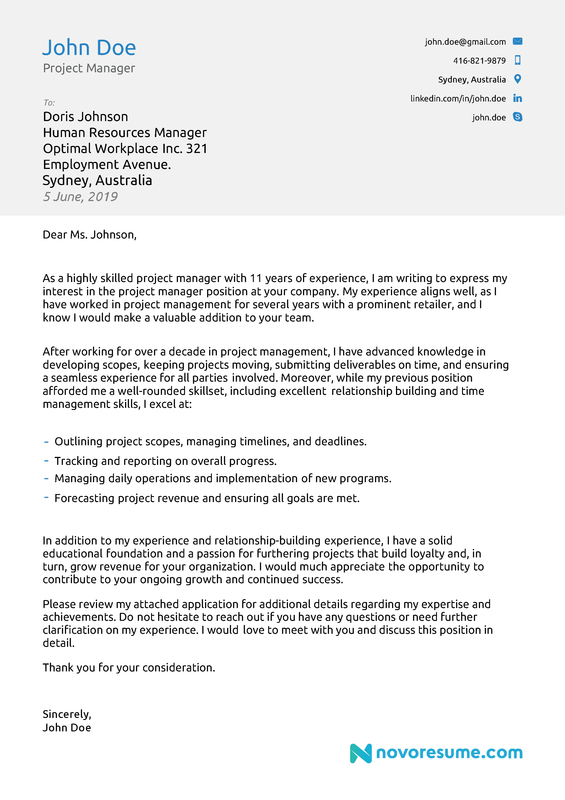 No matter what stage you are at in your career, a cover letter is an important document to demonstrate your experience and fit for the position you are applying. It's a way to explain specific scenarios and call out essential skills that aren't already covered in your resume. 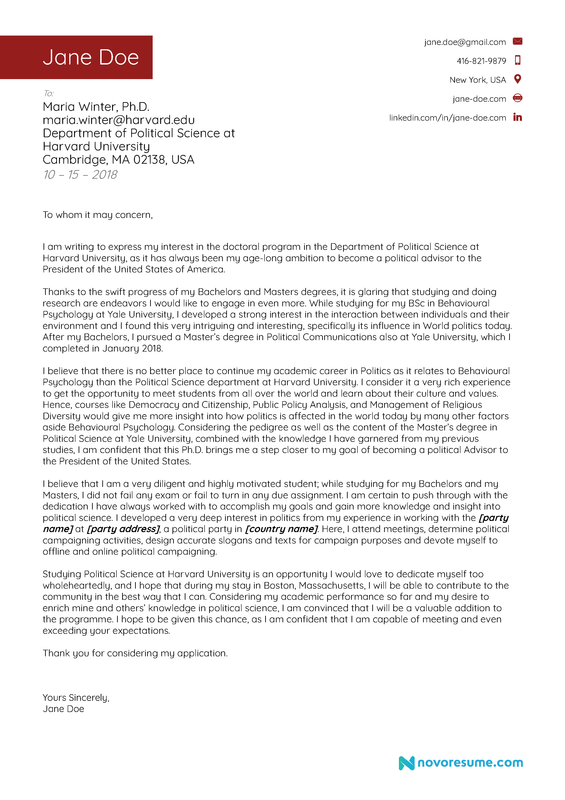 When crafting the content for your cover letter, it's critical that you keep it concise, even leveraging bullet points to point out key messages. The hiring manager does not have time to sit down and read a memoir, they may only have a few short minutes to review your application in its entirety. 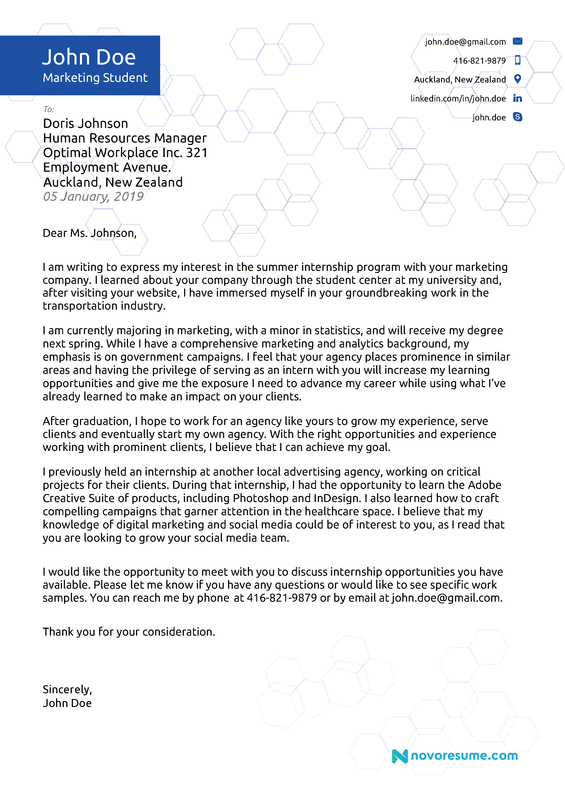 When you are a recent graduate or early in your career, your cover letter should contain appropriate scenarios that demonstrate your ability to perform the responsibilities listed in the job description. Refer to a time you took the lead on an important project or how you introduced a new system to improve productivity. 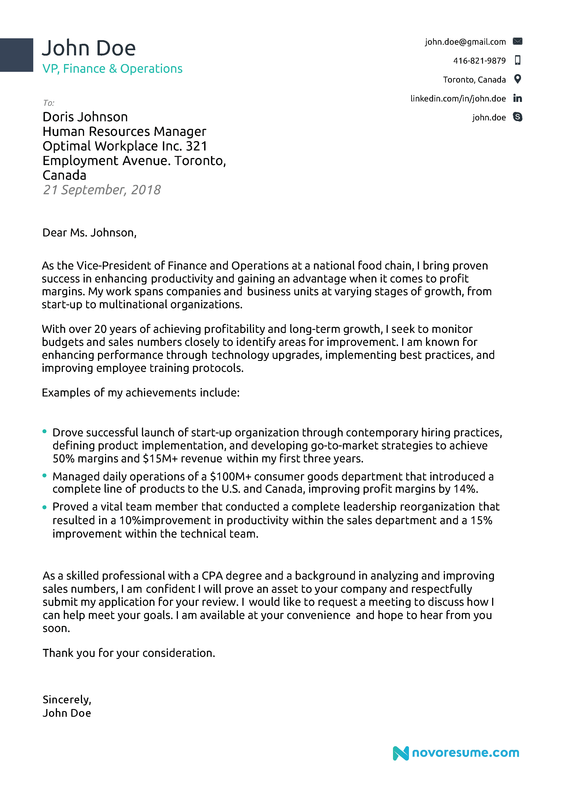 Once you get more experience, your cover letter is a great place to call out key statistics and sales growth numbers, because you'll have more measurable results to draw upon. Your cover letter is your opportunity to set yourself apart from the competition. Use this coveted space to demonstrate your experience, knowledge, and performance. Leave the hiring manager with no doubt that you could perform the job duties at the highest level. To help you craft the best cover letter, we’re providing you with some examples to review. 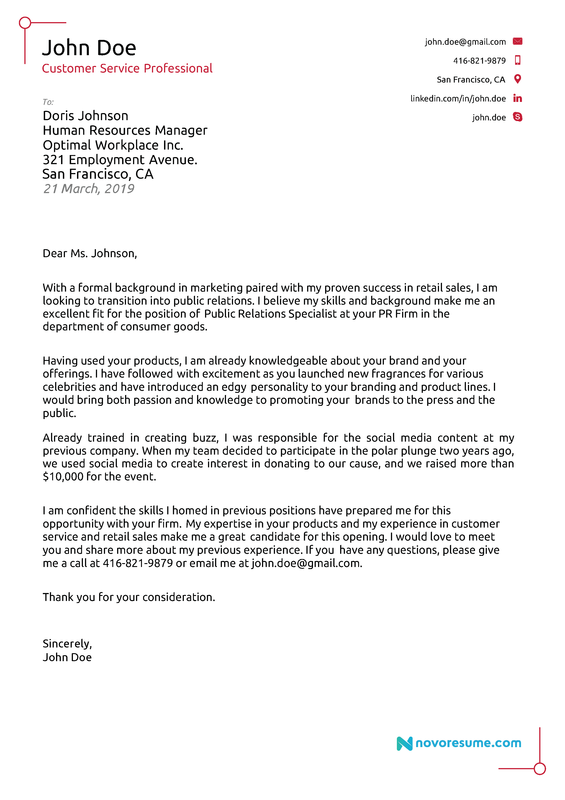 Let the content inspire your own cover letter. Think about the most important things you have done in your career thus far and use these experiences to your advantage in your cover letter. It’s essential that you customize each cover letter to the job that you are applying. After all, each position values different experiences and responsibilities, and you will want to showcase different situations and career highlights based on the specific job you are seeking. This will only increase your chances of securing that coveted interview. 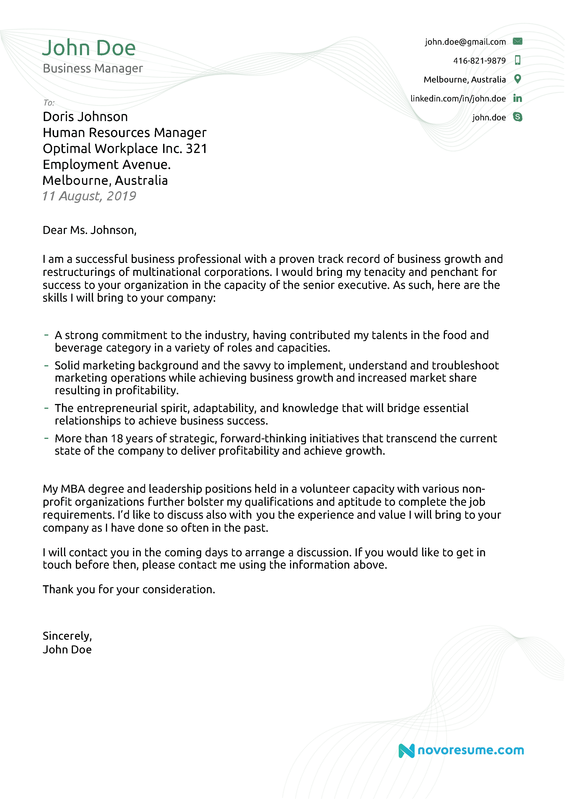 Follow these basic guidelines and get inspired by the following Cover Letter Examples to grab the hiring manager's attention and give yourself a better chance of landing an interview.